If you're a fan of ninjas, you'll love the ninja based games collection we've put together here. All games are 100% free to play. Use your stealth and cunning as a ninja to take out enemies. 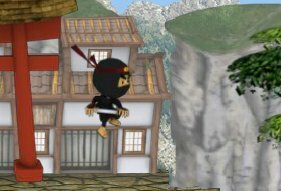 From intense action thriller games to more humorous parodies, NinjaGamesHQ.com has the right ninja based game for you!